I regularly frequent the local DollarTree, and when I noticed they started carrying e.l.f. beauty products I went ahead and grabbed some new products to try since they were all only a dollar each. Normally e.l.f. isn’t a very expensive brand to begin with, but I know that the selection for this brand varies between Walmart, Walgreens, CVS, etc. and the e.l.f. Smudge Pot is something I hadn’t noticed before. 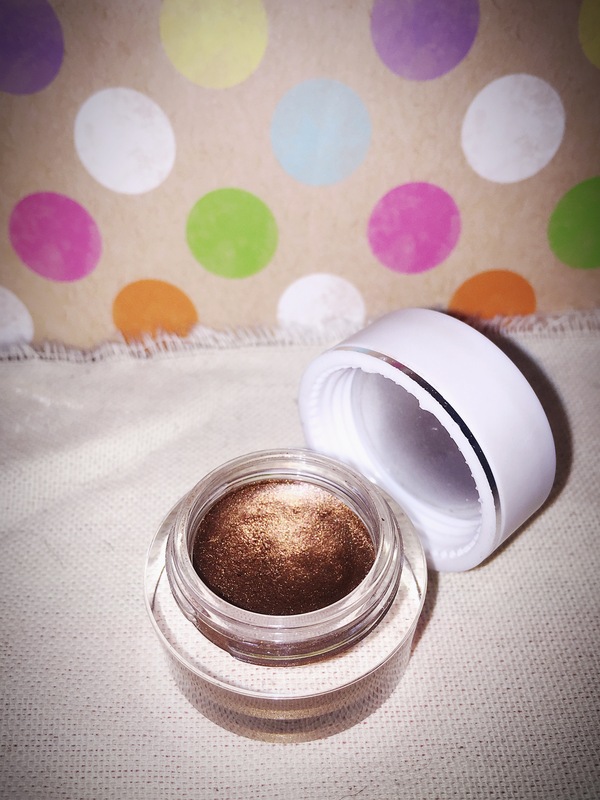 I chose the “Brownie Points” Smudge Pot, a shimmery amber brown. The first thing I noticed when I opened the smudge pot is its’ texture. It is very creamy, but I noticed it had a really nice shimmer to it. 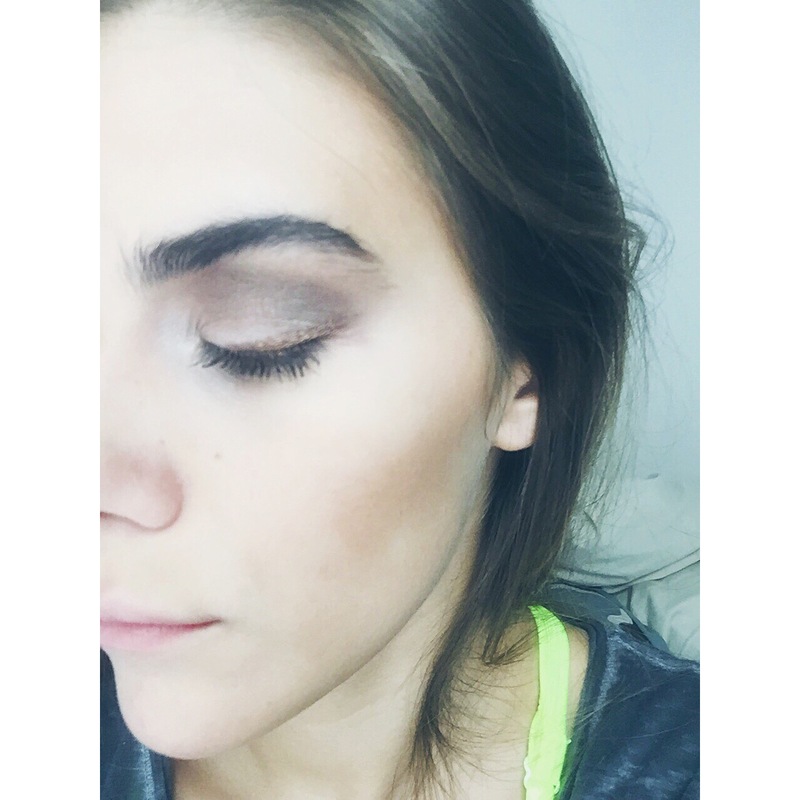 Summer is a great time for shimmery eyeshadows and highlighting creams, and I immediately couldn’t wait to try a subtle smokey eye with this pretty cream shadow. At first I tried applying with just my fingertip, blotting it across my crease. If you want a very natural and subtle color, apply the shadow this way. You don’t get as much of the pigment as with a brush, and the color stays lighter. I think this is a great look if you have lighter hair and skin. Next I wanted to try it as an eyeliner. I like to use a muted brown shadow on my lash line instead of my regular black liquid liner for casual makeup days. I have a straight liner brush I use to get this effect, so I tried this same method with the e.l.f. smudge pot. I swiped just the tip of my brush into the pot so I will still have control over the pigment. I found that after I went over the color about 2 times, it really popped and you could see that hint of shine. Another thing I noticed when swatching this product is that once the cream settles on your skin, it isn’t going anywhere. This makes it an ideal liner! I wanted to try to get a more dramatic effect, so I went over the product I applied to my crease using a short thick shadow brush. This really made the pigment stick, but there wasn’t much of a smudge effect using this brush. It darkened the color and I also noticed that if I got too much product on the brush it would clump up when applied to the skin. My final thoughts on the e.l.f. smudge pot are that it is a great summer liner, and good for the outermost creases for a smokey eye but you have to make quick work of the application or you lose the “smudge-ability” of the cream shadow. The comeback factor, though, is the staying power of this formula. The test swatch on my hand did not come off all day even after washing with soap and water, I highly recommend this for beach and pool days! I give it a 6/10! Play around with it a bit and let me know what looks you come up with!